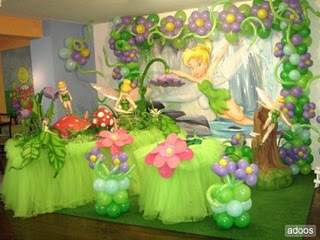 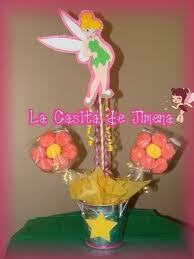 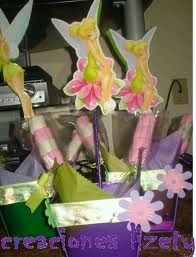 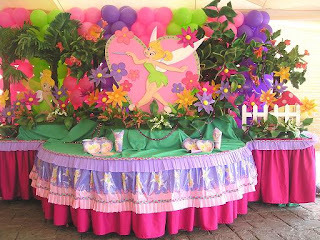 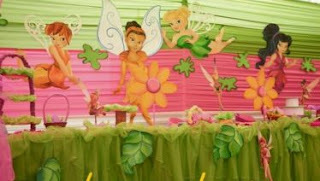 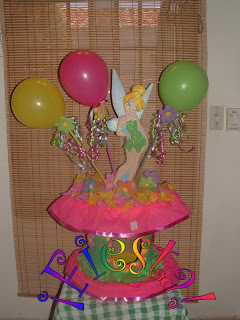 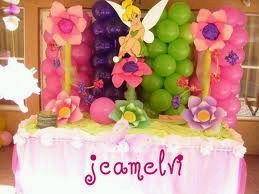 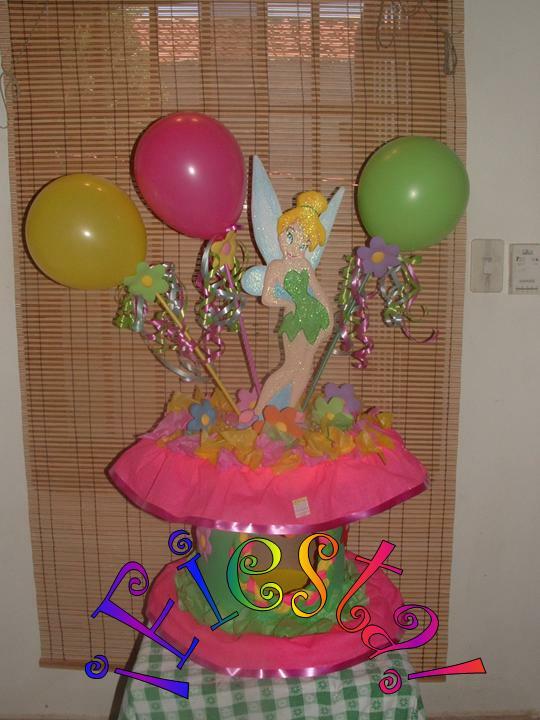 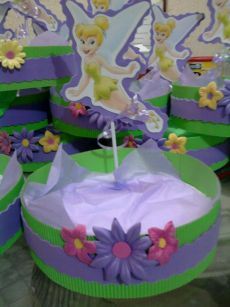 To use the tender and sweet Tinkerbell as a theme for children parties decor of your small girl, is an excellent choice, because you can let your imagination and make the mood of the room so that even seems that upon entering, you are entering a magical world. 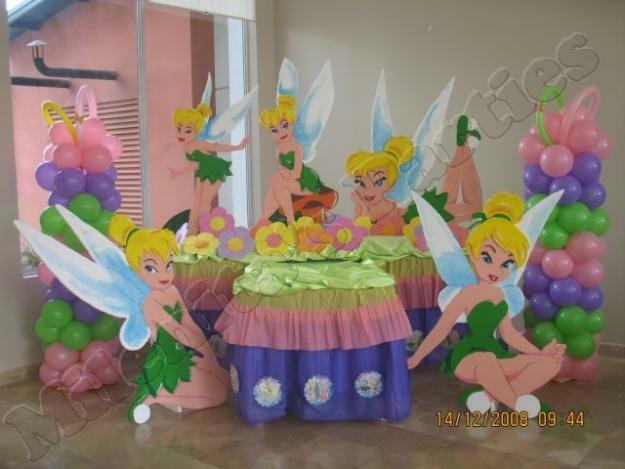 You can use the balloon arrangements, the sheets of cloth, the characters in size made from teknopor, corrospun, wood or other material, or finally the panels are also widely used and the finish is perfect. Here are some tips and decorating ideas, you must remember that the most important is to choose a specific decoration taking into account the size of the rooms and if they are outdoors or indoors, remember to use representative colors and decide whether to decorate Tinkerbell will use just she or accompany with all of her friends. 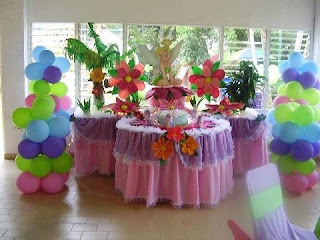 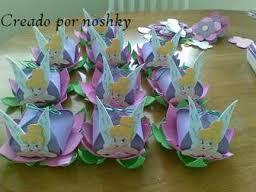 And because the decoration of the tables is also important, we present some ideas for centerpieces.